From renowned hunting writer Peter Hathaway Capstick comes the most lavishly illustrated, historically important safari ever captured in print. 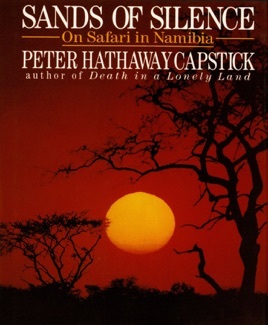 Capstick journeyed on safari through Namibia in the African spring of 1989. This was a nation on the eve on independence, a land scorched by sun, by years of bitter war. 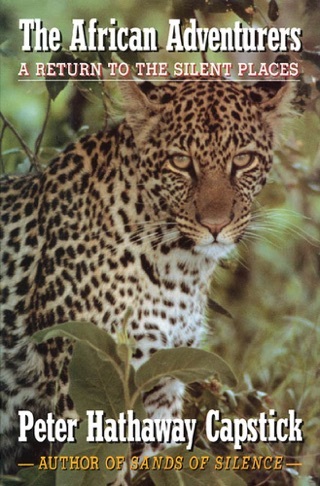 In these perilous circumstances, he commences what is surely the most thrilling safari of his storied career. 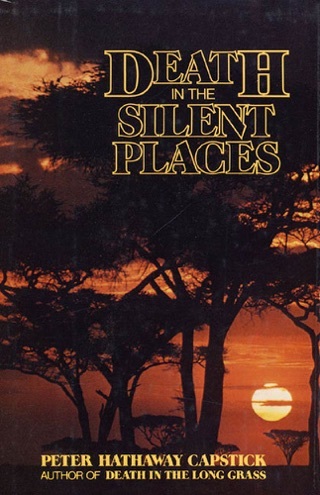 He takes the reader to the stark landscape that makes up the Bushmen’s tribal territories. There, facing all kinds of risks, members of the chase pursue their quarry in a land of legend and myth. 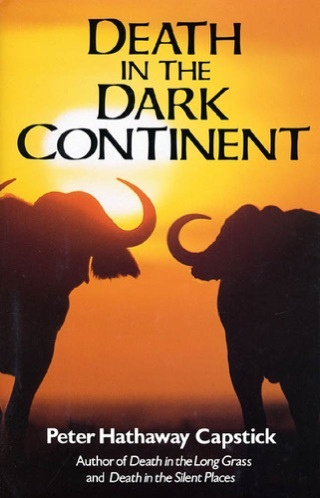 In this first person adventure, Capstick spins riveting tales from his travels and reports on the Bushmen’s culture, their political persecution, and the Stone Age life of Africa’s original hunter-gatherers. In addition, the author explains the economic benefits of the sportsman’s presence, and how ethical hunting is a tool for game protection and management on the continent. 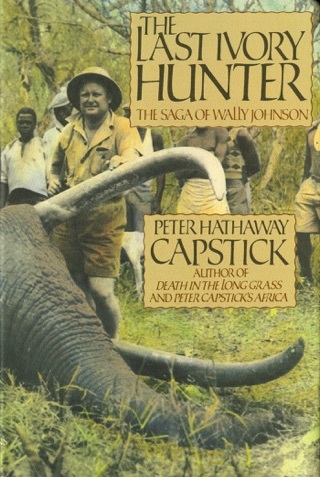 Although he had ``culled'' many elephants as a game officer in Zaire and elsewhere, safari leader Capstick ( Death in the Long Grass ) had never killed a tusker. Here he records his part in a legal hunt with a company licensed by the Namibian government to take 10 elephants annually in the northeastern region of the country, part of the northern Kalhari Desert, where some 1000 old bull elephants range, about a dozen dying of old age each year. The sparsely populated area is home to the Bushmen, one of the last hunter-gatherer tribes, whose way of life the author intended to film. 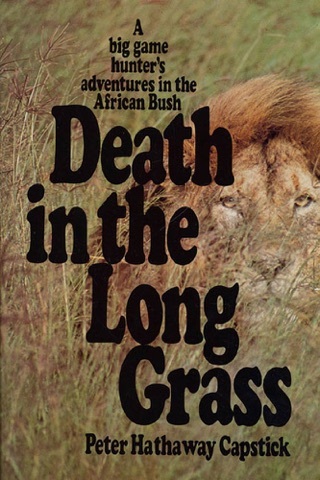 Another aspect of the safari was Capstick's signed agreement to hunt ``problem animals'' to reduce predation by lions and leopards, and he was accompanied by a native guard to ensure that the meat went to natives. 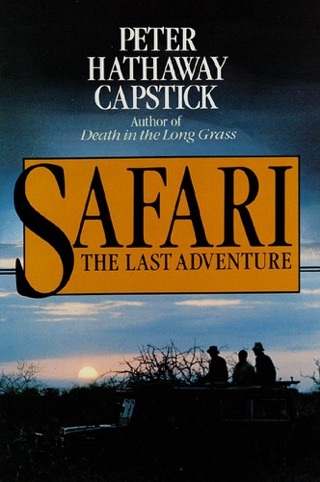 In his lively account of adventures amid stifling heat and dust, Capstick tells of encounters with poisonous snakes, of learning about poison arrows from Bushmen and of getting his elephant. He argues that Namibia's legal hunting is a desirable practice, benefiting local people and the national economy. Photos.